Nose: Malt whisky au natural. Loads of malted cereal notes, butter curls beginning to melt in the heat, touch of clean lemon zest, green apples and other sour unripe fruit notes. Sets the stereotype for a lighter speysider’s easy going charm. Though it has to be said: Just barely mature. Palate: Yes malty, white spicy heat, barley sugar, vegetable juice, some vicks chest rub. All rather simple but does the job. WYSIWYG. Finish: Medium, malty and clean, touch of honey. Brilliant introduction to malt whisky this one. It’s naked, it’s young but not raw, neither is it the heavy pungent sort that turns some people off. Sufficient appeal and loads of potential. Nose: Still resting on the lighter side of the spectrum but this one has got lots more wood influence, and also the benefit of 3 extra years of aging over the official: Much more dry wood, dry tobacco leaf, ‘humidor notes’ I’ve heard it called. Also woodier and with brittle toffee peanuts and woodspice, touches of menthol too. And yet there is still something reminiscient of green fruit about it, and a light pleasant zest. The maltiness remains too. Linkwood bends but is not broken. Palate: Bigger than the offical due to the increased wood. In fact very woody! Tannic and grippy tobacco notes. Ouch. The wood is a bit planky and raw, suggests over extraction in this one. Unlike the nose, few sweet notes present themselves here, in fact rather dry and sour. At this point the naturalness of the official is much more appealing. Finish: Short, pencil shavings, underwhelming. How did they manage to put that much wood into a 15 year old? Was the wood flawed, or were they in mini half-octaves? Nose: The next level. 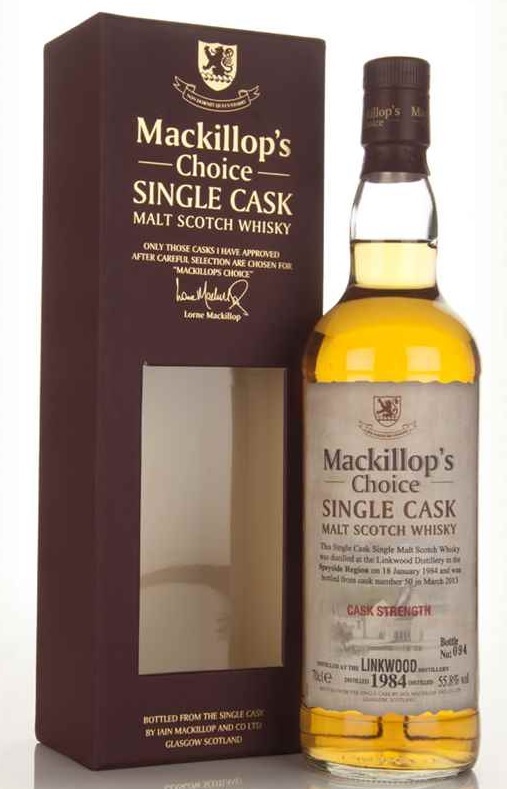 Cask strength is the way to go especially for lighter bodied spirit. Oily weight – vegetable oils, butter again. Rather thick but not a heavy whisky by any measure. Some old school notes of dripped paraffin wax and old paperbacks. Also dry vanilla pods you leave in the white sugar to impart some flavour. Waxy green fruit, quite complex and good integration. With water: sweet wood and gentle fruitiness appears. Palate: Yes, delivers. Quite old school too: Wax and dusty book cases. Touch of soot, more black ink. Masses of indistinct fruitiness lurking about. Sandalwood, some old vanilla pods, develops on more black pepper heat. Some farminess towards the finish. More sootiness and oils. Complex! With water: Still on the same page but rounder and sweeter. Finish: Long, dry dusty touch peppery, some tannic wood shows up as well, with the aftertaste of unripe fruit. A marked departure from the previous two. Clearly time and a relatively inactive cask has worked wonders on the whisky, and I get the feeling it could have stayed in wood another 1o years and still be fresh. 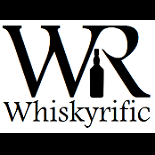 This entry was posted on November 12, 2015 by Whiskyrific in Linkwood and tagged Linkwood.